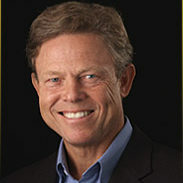 David R. Schopp joined Stonebridge as an Operating Partner in 2004. He was previously President and CEO of Orbis Corporation, a manufacturer of plastic re-usable packaging and a leader in supply chain solutions for the automotive and beverage industry. Prior to joining Orbis, Dave was Vice President and General Manager of Promo Edge, a leading supplier of promotional printed labels and displays. Dave has 25 years of turnaround experience, building and then selling several of his own portfolio companies including US Sample Company, a manufacturer of in-store merchandising products, Bates Inc., a producer of in-pack premiums for the cereal and fast food markets, and Congress Packaging, a carton manufacturer. He was previously a consultant with Booz, Allen & Hamilton specializing in strategy and marketing for Fortune 500 companies. Dave is a graduate of Rensselaer Polytechnic Institute with a Masters in Engineering. He has Operating Partner responsibilities for Cast-Crete, Hydraulex Global and Specialty Bakers, and previously oversaw American Dryer and Alpine Engineered Products. Dave and his wife reside in suburban Chicago, Illinois, and he enjoys golf in his spare time.